A Giant Week For DC! 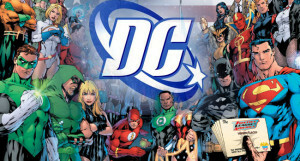 I rant about DC comics a lot, but since last time I checked this is my blog, so I am going to do it again today! The reason for this is that there is a lot of exciting news going around, and I had to give my opinion on all of it. Lets start with the movie news shall we? So the current rumor from the website Latino Review is that they will be filming a Justice League film directly after they get done filming Batman vs Superman, and that they are talking to Dwayne Johnson to be John Stewart, one of the cooler Green Lanterns, or possibly some other character, so Cyborg. This makes a ton of sense since they could spend a lot money, but get two films out of the deal much like The Hobbit, and it would help them catch up to Marvel. If this is true expect to see a lot of casting rumors in the next few weeks. It is kind of scary to think that DC is finally getting its movie act together, but this is a large step in the right direction. If they do this right we will get to see all our favorite DC heroes, but not have to sit through any more origin stories! What a wonderful future that would be. Now on to TV news! In an earlier rant I talked about the three new DC TV shows in the works: Hourman, The Flash, and a Gotham Cop Show. Well those are all still on the docket, with the exception that the Gotham cop show is now pretty much Batman Smallville, curse you Fox! A cop show in Gotham sounded interesting, but a bunch of brooding teenagers fighting each other in high school sounds awful, but maybe it will turn out (it won’t). I have my fingers crossed! They also announced this week that NBC is ordering a Constantine show, and since they have already done a good job with Hannibal, Dracula, and Grimm this could be a great fit. Heck he could fight those guys, and it could be a lot of fun crossing over everything together in a large NBC/DC universe. They won’t do that, but still it is fun to think about. That was not the only TV announcement either. AMC is ordering The Preacher from Sony Pictures Television, and Seth Rogan is producing. I don’t know if that means it is going to be a comedy (please no, but maybe yes? ), or that Rogan just likes The Preacher, so he is putting some skin in the game. I hope it is the latter. Either way I love the work AMC does, so I am very excited! Now if you are counting, the success of Arrow has spawned not one but five TV shows: Gotham (Meh), The Flash, Hourman, Constantine, and The Preacher. I guess DC decided that they couldn’t beat Marvel in the movie game, so instead they are going to win at TV. Not a bad plan. So that means maybe the people running DC are not total idiots. We live in a brave new world, and I am extremely excited! Previous PostPrevious Shmee gets Wired! Next PostNext Feel Safe With The Brooklyn Nine-Nine!